This weekend is the 30th anniversary of Spaceballs, Mel Brooks (somewhat) beloved Star Wars spoof. Brooks might’ve set out to imitate and satirize George Lucas’ iconic work, but that doesn’t mean everyone else did their research. 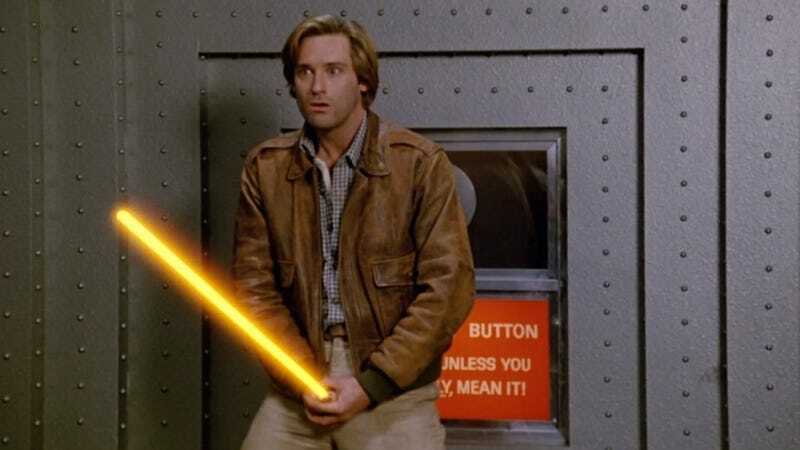 In an interview with The Hollywood Reporter, co-star Bill Pullman admitted that he didn’t watch Star Wars before co-starring in Spaceballs, meaning he didn’t really know who his character, Lone Starr, was actually parodying. And it wasn’t like it was a new movie, either— all three films in the original trilogy came out years before Spaceballs. A New Hope was a decade old by that point. Star Wars may have started out as a surprise smash in 1977, but it’s since become one of the most legendary franchises in cinematic history, including a prequel movie about Han Solo, Lone Starr’s inspiration. Nowadays, it’s kind of funny to imagine Pullman trying to parody something he knew practically nothing about. Then again, it’s Spaceballs. Maybe it actually helped.